In the past, I have written about the work of a geneticist at the USDA’s Bovine Functional Genomics Laboratory in Beltsville, Md. — Curtis Van Tassell. In the ’90s he used a new genetic test to identify genes in Holsteins that influence milk production, health, and soundness of feet and legs. For the foundation of his research, he used detailed records of 300,000 cows dating back to the 1940s. His work was renowned in the dairy industry and even contributed to research in human DNA. But the company funding his work at Beltsville went bankrupt. The company assets were purchased by Illumina, a human genetics company in Illinois. They planned to discard the cow genetic research. When Van Tassell realized this, he went to Illumina’s management and spent several days trying to convince them of the merit of his research. Illumina relented and agreed to continue funding his research. When I last checked, bovine genetics made up 90% of Illumina’s profits even though they are a human genetics company. I recall some of my colleagues excitedly suggesting that this test be used to characterize the DNA of dogs. At the time, dog breed organizations kept little more than a mish-mash of genetic records. 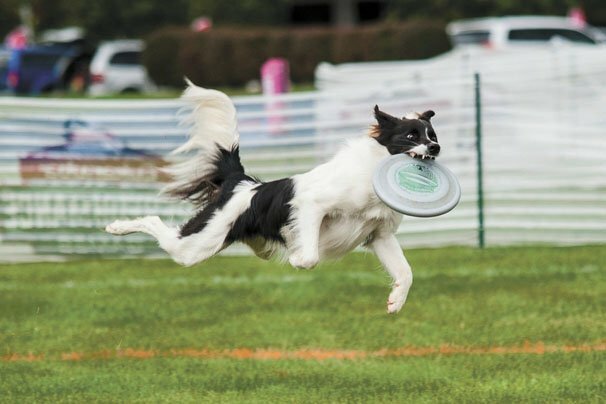 No one maintained consistent performance information about dog breeds. Certainly nothing like the information of the Holstein Association. 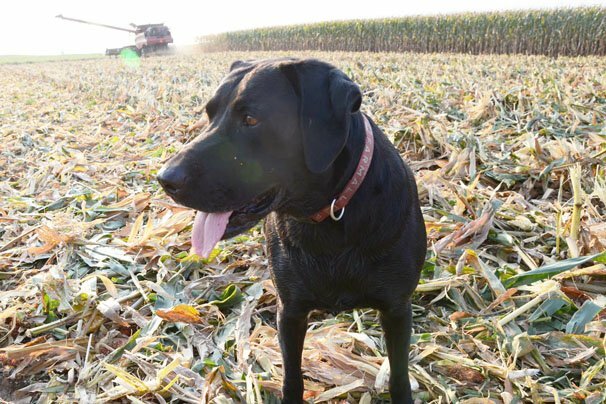 One of the most recent exciting contributions is the USDA using these super-sniffing canines at our border to detect African Swine Fever-infected pork products being smuggled in from China. You may have read about two Beagles that detected infected pork in a million-pound imported food shipment. In the early days of my vet training and practice, Pilot Dogs, Inc., an organization founded in Columbus, trained dogs to serve the visually impaired. But back then, I couldn’t imagine the many other services that working dogs perform today. Because of dogs’ expanding service roles, the current supply of newly trained working dogs meets only about 5% of the need. And before the relatively recent advent of canine DNA analysis, it was common for about half of dogs to flunk out from training for service roles — their failure often not apparent until near the end of a year or more of training. Canine DNA analysis can help improve selection of dogs for training — and graduation rates — by identifying genes that influence dog behavior. A relatively new program, The Working Dog Project, has played a key role in developing DNA analysis for working dogs. 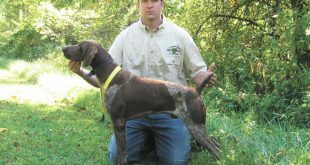 The Working Dog Project is a collaboration of The Theriogenology Foundation (which represents veterinarians who specialize in reproductive health), The Broad Institute (associated with MIT), the American Kennel Club, numerous dog breed organizations, and universities such as Auburn and Cornell. One of the key early researchers in DNA analysis of dogs is an Alaskan musher, Dr. Heather Huson, who competed in races like the Iditarod in Alaska from Anchorage to Nome. In her PhD project she identified sled dogs’ DNA to determine which would be her “high-performance” dogs. After a successful sledding career, she ended up at Cornell University to start their canine project, which became a part of The Working Dog Project. Her work and that of others in The Working Dog Project showed that not every dog was cut out to be a sled dog, pilot dog, security dog, bomb-sniffing dog or recovery dog. And that DNA analysis can assist in separating super-achieving canines from those that are more at home sleeping on the couch. Check out The Working Dog Project at workingdogproject.org. I encourage you to donate to their cause. 1) Illumina is a California company (headquartered in San Diego and lots of employees also in the San Francisco Bay Area). They have operations all over the world, but nothing substantial (if anything at all) in Illinois. 2) Illumina earns the vast majority of their revenue from human genetic/genomic products. Bovine genetics may be a substantial portion of their microarray product line (the much smaller brother to their DNA sequencing product line), but even there bovine samples wouldn’t come close to approaching 90% of their profits. 23andMe and Ancestry.com both use Illumina microarray products and are focused exclusively on human samples.